Two US mortgage lenders have given their views on the latest labor figures and highlighted continued areas of weakness. While more people are in work, wage increases of 2.5% (year-over-year) remain outpaced by rising home costs; and there is improvement needed for workers in residential construction. The figures show that the economy is nearing full employment with more than 200,000 jobs created over the last three months of 2017. The unemployment rate held steady at a 17-year low of 4.1%. Despite figures coming up short of the 190,000 analysts were expecting in December, the 148,000 total added to the upwardly-revised 252,000 in November. 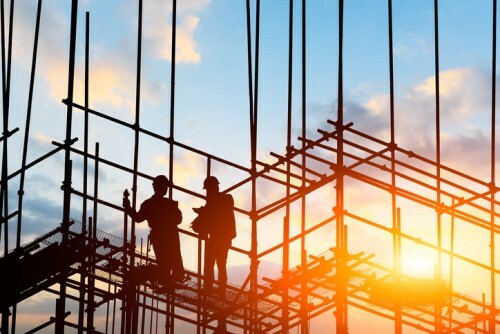 While tight supply is exacerbated by several factors, including limited lots and rising material costs; homebuilders are also hampered by the availability of workforce. Making work in the construction sector more attractive by increasing wages is one way to tackle the shortage. “Residential construction wage inflation matches the aggregate for all industries. Wages may need to increase faster to attract more workers, adding marginal upward pressure to new home prices,” suggests Lending Tree’s chief economist Tendayi Kapfidze. First American’s Mark Fleming agrees that construction workers are a key to increasing supply but says productivity needs improvement. He adds that the productivity of homebuilders has improved since the recession but has stalled at around 1.7 starts per worker.